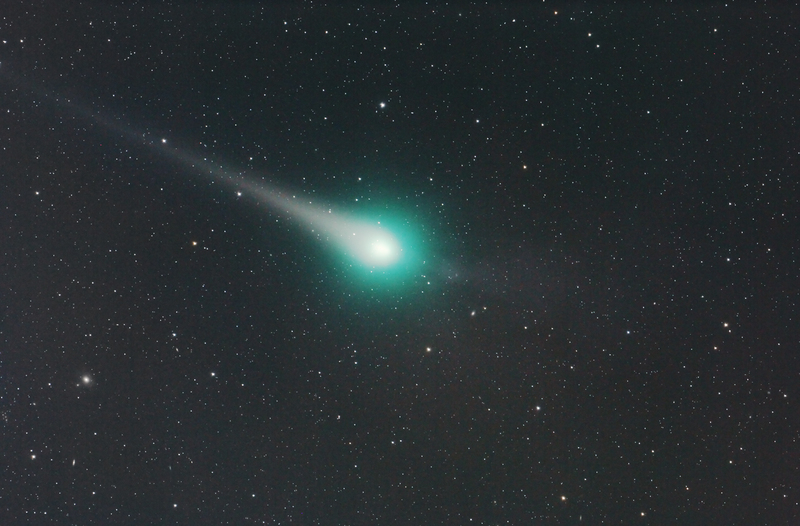 VISUAL REPORTS: "Last night, Feb. 24th, I was extremely impressed by comet Lulin no matter what I used to observe it," reports Martin McKenna of Maghera, N. Ireland. 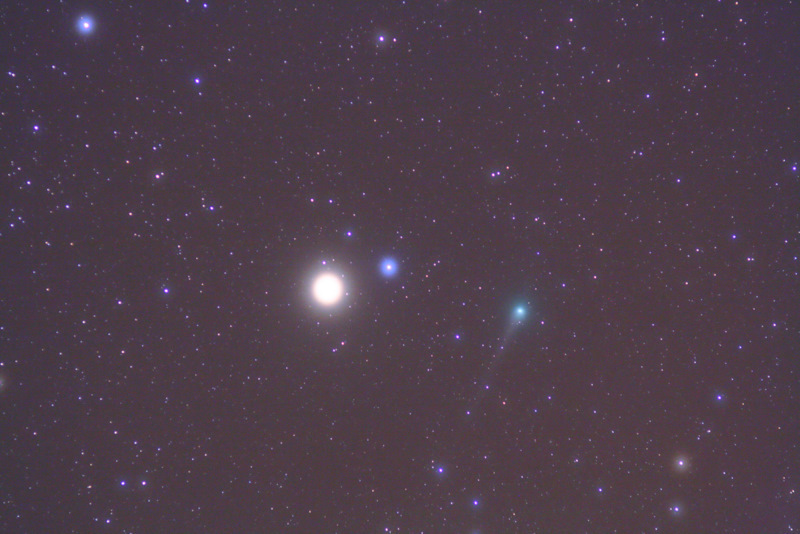 "With the naked eye I could see the comet as a large elliptical 5th mag haze 2 degrees below Saturn. Furthermore, using averted vision I managed, just once, to glimpse the anti-tail without optical aid as a fine streak pointing away from Saturn! The view of the anti-tail in the 8.5" F/7 reflector with wide angle eyepiece was absolutely incredible. 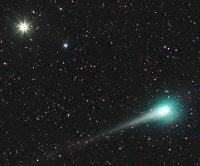 The anti-tail spike could be seen extending across the entire field towards the Sun. 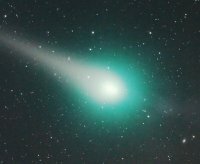 It was extremely bright with well defined edges and reminded me for all the world like a glorious bright green blade or sword among the stars." 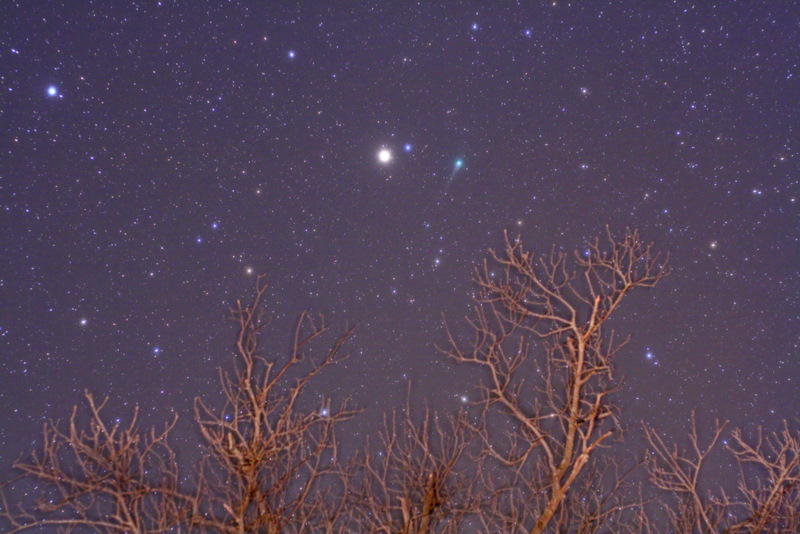 It was completely cloudy at sunset, and I had little hope of imaging Comet Lulin. At 9:00 pm, CST, the infrared satellite image showed a hole in the clouds over north-central Kansas moving SE and get larger, so I headed out to Linn County. 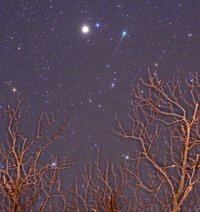 By the time I was ready to shoot, all that remained were thin, high clouds that added just a touch of softness to the images, yielding aereoles around the bright stars and Saturn. In the last image, a faint corona can be seen around Saturn. Canon Rebel XTi with 50, 85, and 135mm lenses @ f/2.8, 2.8, and 4 respectively; exposures all 2 minutes at ISO 100. 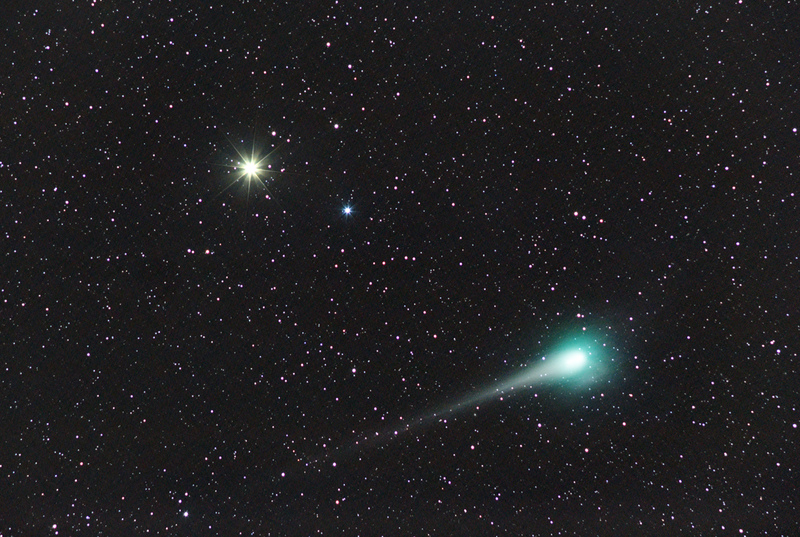 Comet Lulin buzzed past Saturn on Tuesday morning. Equipment used included a Canon EF 200mm f/2.8L II Camera Lens at f/2.8 and Canon XTi piggybacked on a C8. 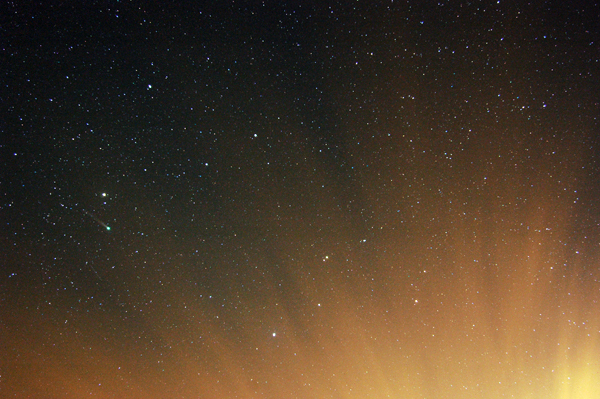 Exposure was 30x60 sec @ ISO 1600. 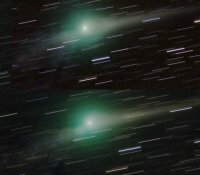 This is Comet Lulin around 11pm Feb 23, 2009. 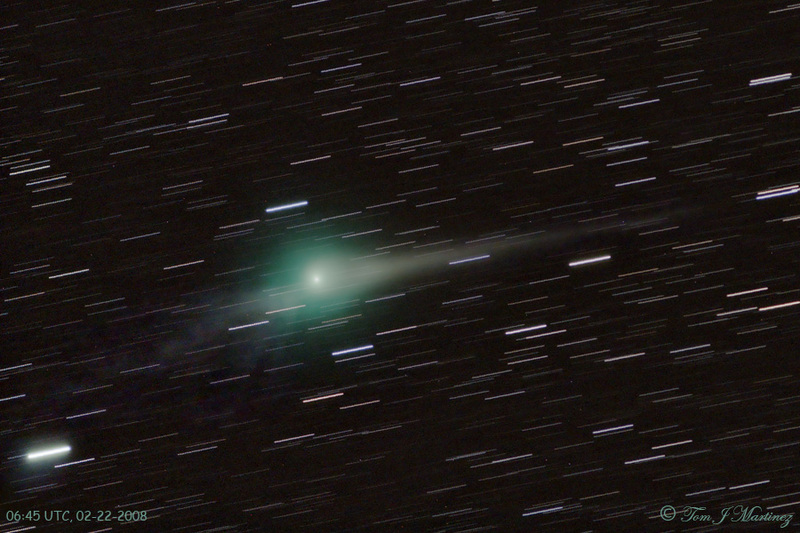 Photographed with a Tak FSQ refractor, using a Canon 5D MarkII, ISO 3200, 10, two minute exposures combined. 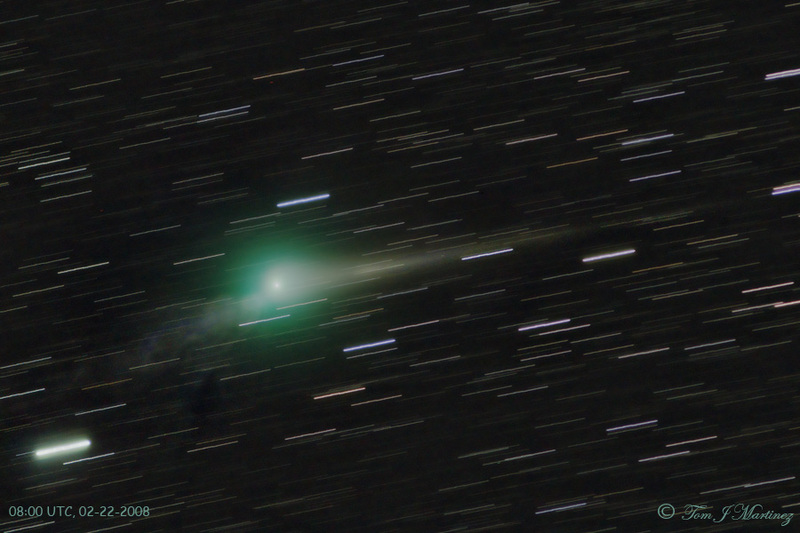 Comet Lulin's fantastic ion tail shows quite a difference from one hour to the next. 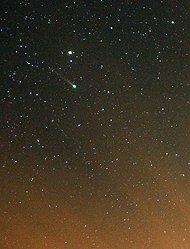 An dark object below the ion tail is unusual. I'm not sure what this is (tail disconnect?). 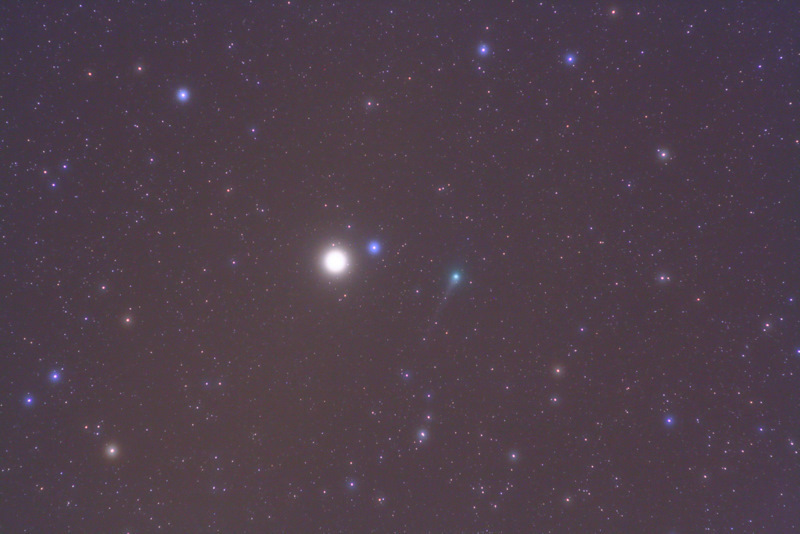 The bright star at lower left glows from the foggy gases of the ion tail. 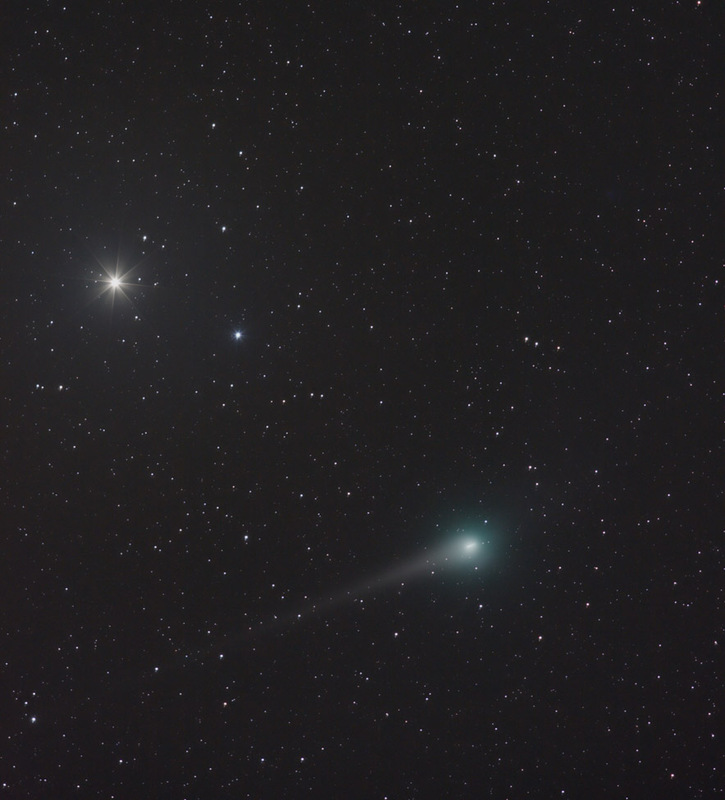 These were taken on the morning of the 22nd from the Midwest, using a Canon 300mm f/4 lens on a CCD-Labs Q543 camera. 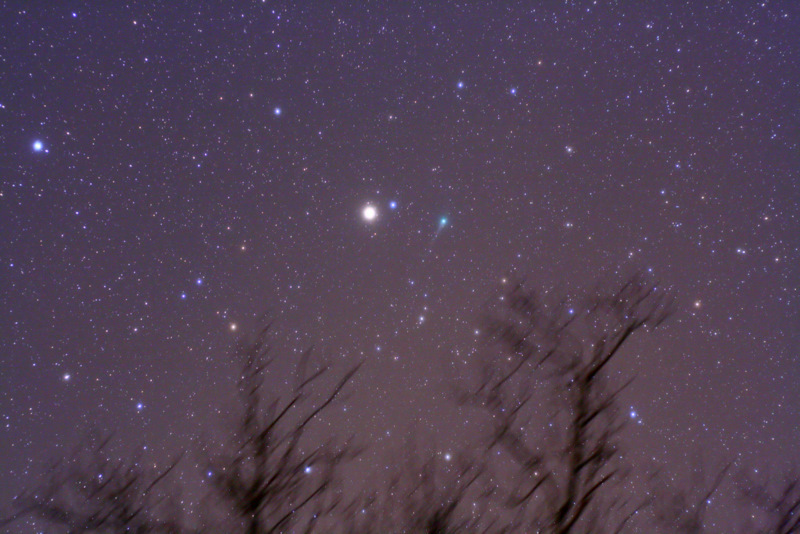 The 06:45 UTC image was 40, 1 minute exposures, the 08:00 UTC was 6, 10 minute exposures.